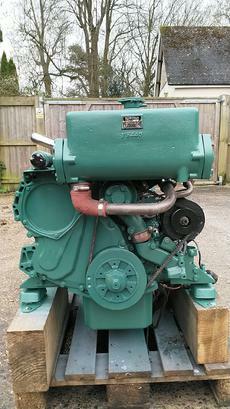 Ford Sabre 120C 120hp Six Cylinder Naturally Aspirated Marine Diesel Engine Complete With Gearbox and Instruments. 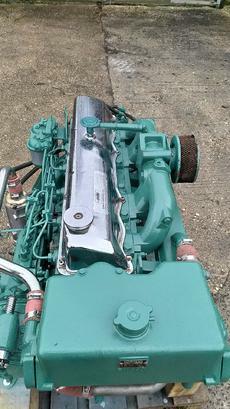 We have a pair of these engines, fitted to the same boat from new. Both fitted with PRM 500C2 2:1 Hydraulic Gearboxes. Both based on the later Ford Dover 2725E base engine. Running hours are approx. 5400-5500 on each engine and have been with the same operators for the past 20 years. They have been tested and start on the button, only being replaced as part of a company engine standardisation program. These engines have been on a coded passenger vessel so have always received any parts required to keep them reliable and in good order. Complete with original Sabre control panels. 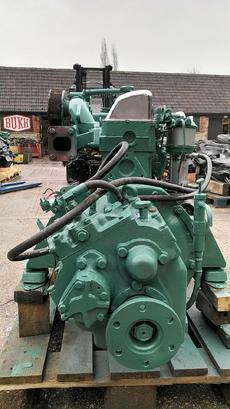 Very clean engines and becoming hard to find in good reliable condition.